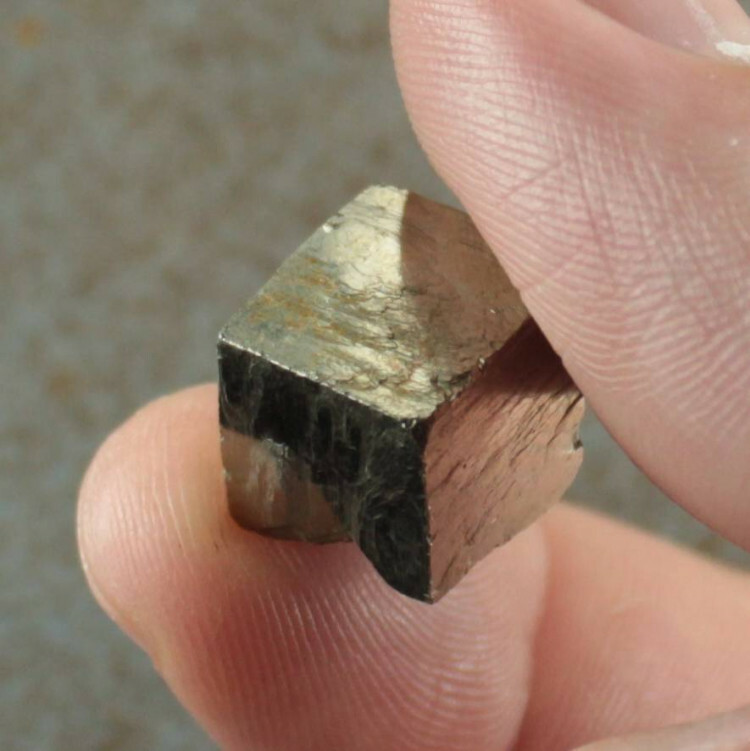 Cubic Iron Pyrite / Fools Gold pieces, available in two quality grades. 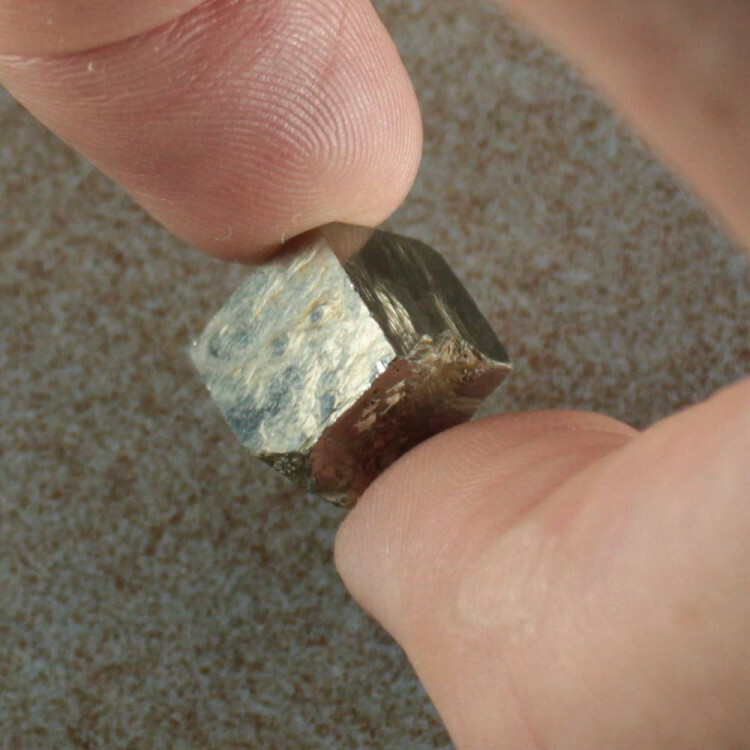 An interesting Pyrite formation, a Pyrite Cube is simply a much larger cubic version of one of the crystals commonly seen in a Fools Gold crystal formation. They are almost perfectly square a lot of the time, and seem almost unnatural, but they do naturally form in an almost perfect cube. These pieces are between 10-20 MM in size on average. Pyrite cubes make an interesting display piece in any collection. Make sure to check the images for the best idea of these pieces appearance – the video below shows a slightly larger piece. 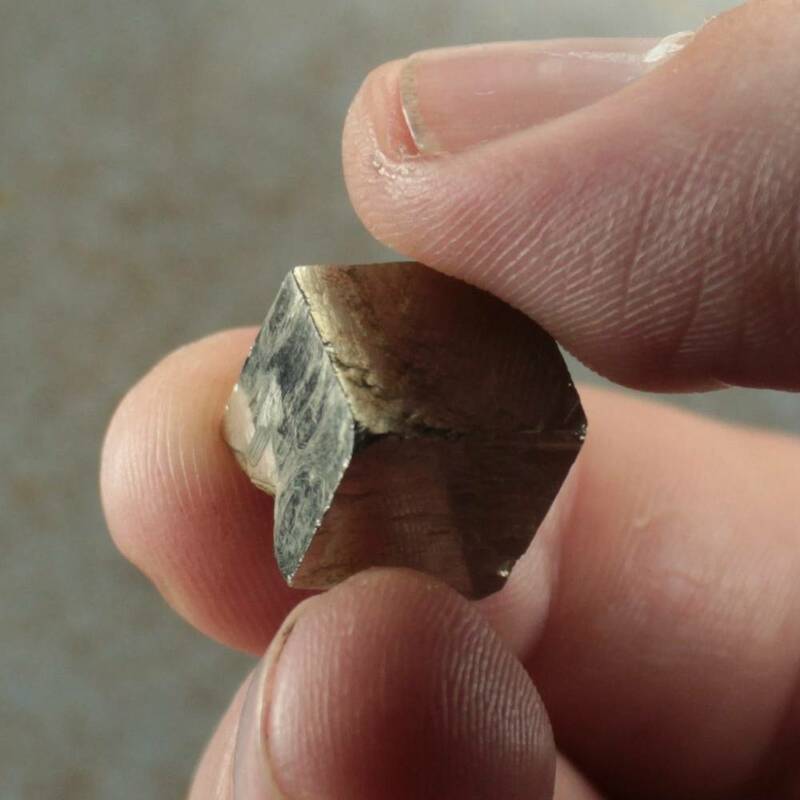 Pyrite is also known as ‘Fools Gold’, as its shape and colour have confused miners and gold panners for centuries. It is, of course, Iron crystals, rather than Gold. We sell a few different sized pieces and styles of Fools Gold – please check our Pyrite section for more.